Wesley Snipes plays a Washington, D.C., homicide detective who is called in to investigate a murder in the White House and becomes embroiled in a top-level cover-up plot. 5.0 out of 5 starsExcellet thriller, with a surprise ending. After I saw this movie on TV and kept watching it every time it was on I decided it was time to own it. Wesley Snipes plays the part of a DC homicide detective who is in the position of having to solve the murder of a woman who was found stabbed to death in one of the White House bathrooms. However, his investigation is hampered by the Secret Service because they withhold information he needs on the grounds that it is top secret and he is not cleared to have it. To make matters worse, the president's son soon becomes a suspect and the president is being criticized by both members of his administration and the public for not going to war with North Korea in order to rescue hostages they're holding. Finally, though, he convinces one of the agents (Diane Lane) that the person the White House is accusing of the murder is innocent and tells her that if she can watch an innocent man burn for something he didn't do then fine, but he can't. Well, she can't either, so she helps him find the real murderer - and talk about a surprise ending! 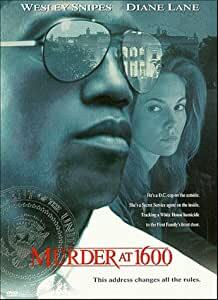 The movie "Murder at 1600" is far from excellent but it is worth viewing. There is some sexual tension between Wesley Snipes and Diane Lane and Alan Alda is cast against type as a villian. Daniel J. Travanti is also fine. The plot is actually fairly predictable. I like Wesley Snipes as an actor but this is not his finest role. He plays a D. C. homocide detective who has to investigate the murder of a staffer that occurs in the White House. Of course, his investigation causes him to bump heads with the White House chief of staff, Travanti and other bureaucrats including the Secret Service. Some of the plot twists are a little far fetched as Diane Lane character being an excellent marksman who won gold at the Olympics. I enjoyed the movie and would recommend it but also, as with most films set in Washington, D. C. the geography is not quite right. 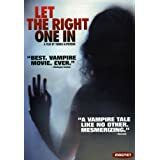 This movie does have some humor as the fact that Wesley Snipes is about to be evicted from his home by some government agency and the tenants in the building think that as a detective, he could influence the eviction. If this movie was coming out now, I do not know if it would be worth the price of a ticket at the multiplex but to rent it and watch it at home would be fine. Especially if you are a fan of Snipes, Alda, or Diane Lane. They are all fine. The movie could have been a bit better written. Dennis Miller is Snipes partner but he comes and goes in the movie and this hurts his overall impact in the film. The actor who plays the president seems a little weak to actually be a president. I guess that you should realize that this is fiction and not realism. I sought this movie out because I read a random review and saw that Dennis Miller had a role. I missed this movie when it was released. I didn't know he had acted in a drama. I only knew him as a comic, a radio show host, and more recently, a comic political commentator. His overall knowledge of everything, coupled with his vocabulary, blows me away. Being somewhat of a fan of his complicated humor, I was delighted to see him in this movie. He acted in a way that is pretty consistent with who I believe him to be. For a prude, I found it was a movie you can watch with your family, once you get past the opening scene. Fast paced. Fairly interesting. Pretty well acted by all. I enjoyed it. Watched it twice. I love this movie from the 90's. 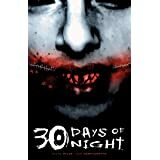 Follows a Detective whom is investigating a homicide at the Whitehouse, being called in after Secret Service has picked over the real evidence and replaced it with planted evidence. The Detective has to find whom murdered the Woman and who from the Secret Service he can trust and whom he can't and why its a big cover up. And whom is being protected and why. 3.0 out of 5 starsFair. Was worth it for an older movie, though. This was purchased as good, but was more like fair. The package was poor and scratched. There were some problems with playback. However, I purchased it in PAL, and replayed it in a correct player to convert for area 1.